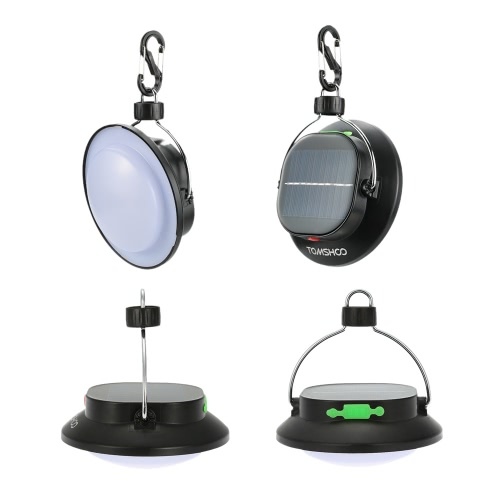 This Camping Lamp is equipped with 12 ultra bright white LEDs and 3 lighting modes. 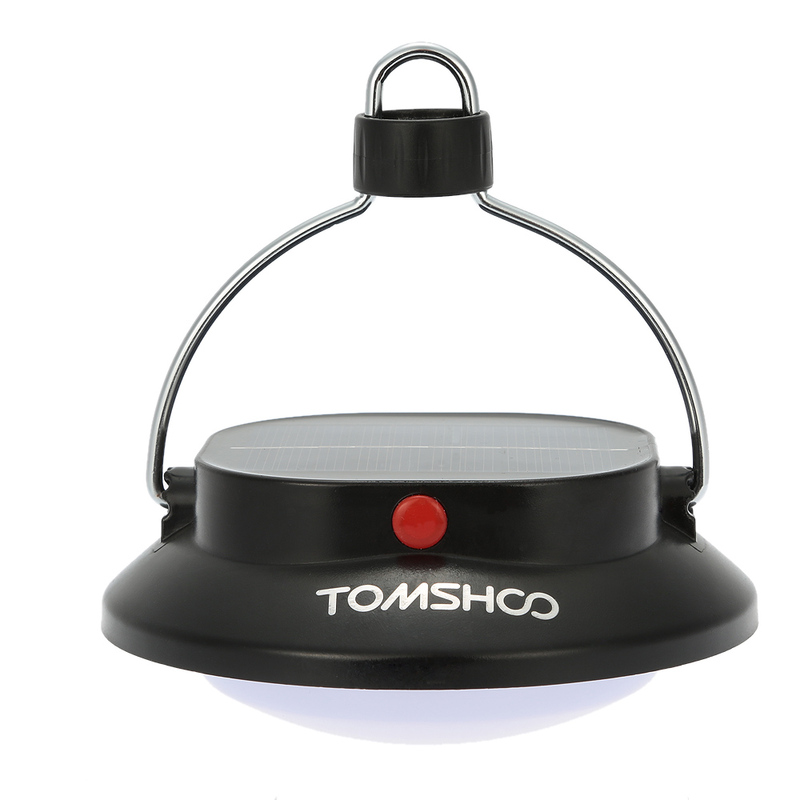 It has rechargeable battery which can be powered by solar panel and USB charging. 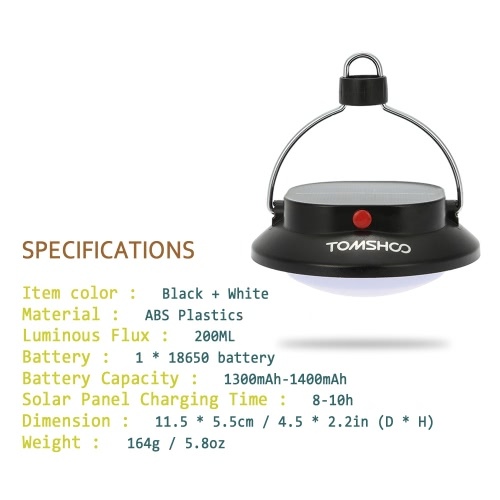 What's more, it can be also used as an emergency charger for your phone. Lightweight, compact and durable, it is a must have for night fishing, camping, hiking, and other outdoor activities. 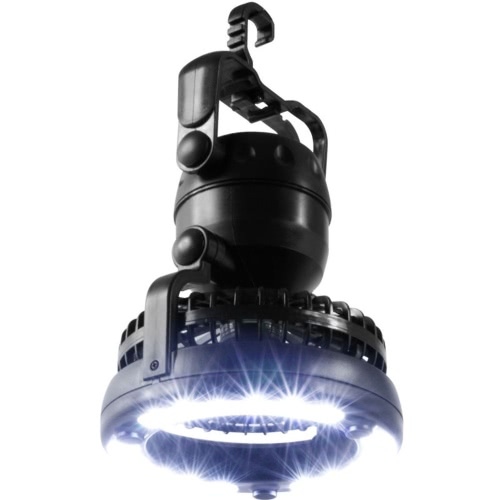 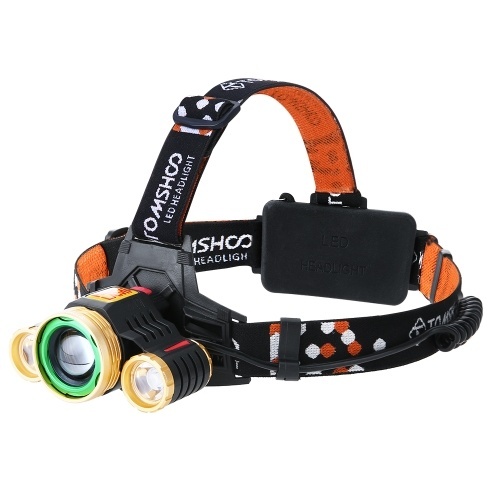 SUPER BRIGHT WITH 12 LEDs - Maximum 200 lumens. 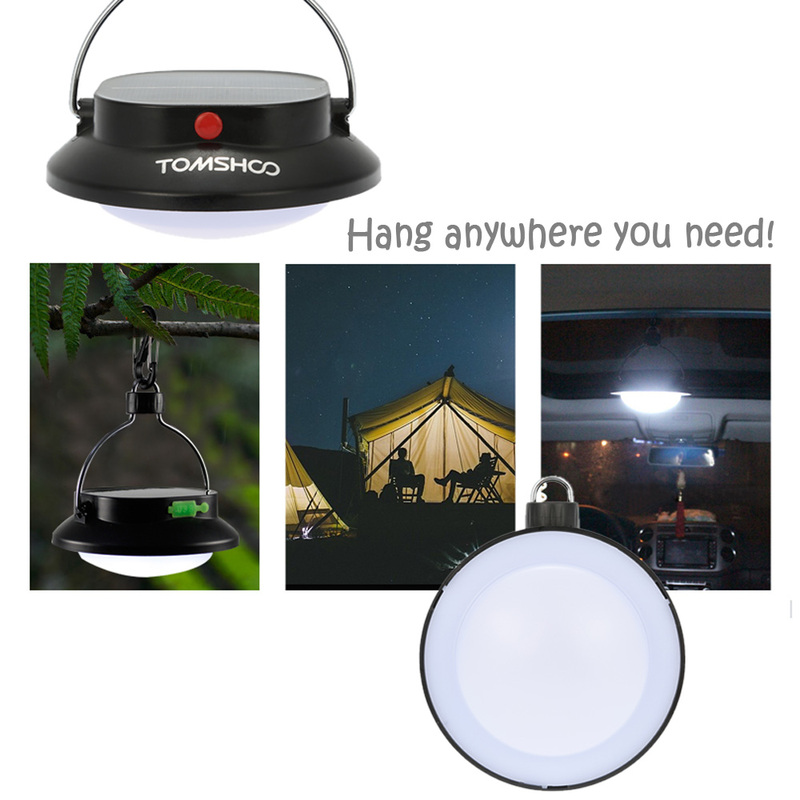 Great companion in camping, fishing, or auto emergency. 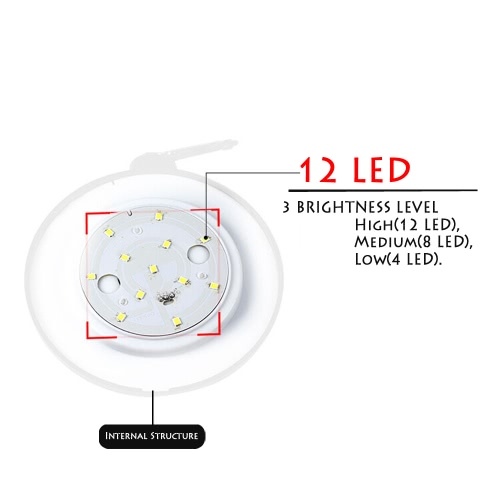 3 BRIGHTNESS LEVEL - High(12 LED), Medium(8 LED), Low(4 LED). 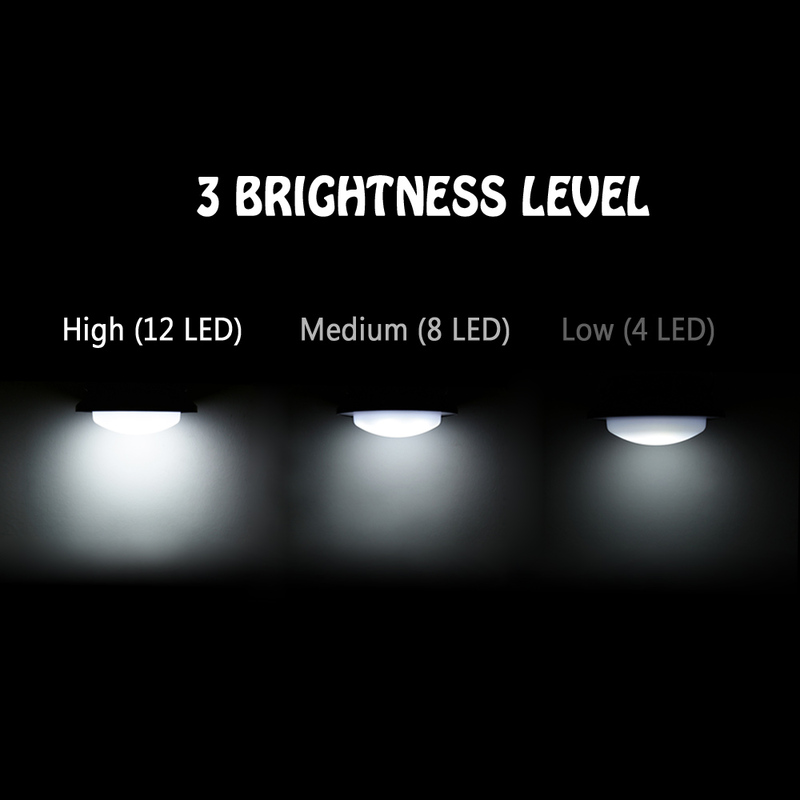 Brightness adjustable to your different lighting needs. MULTIPLE CHARGING WAY - 1 rechargeable 18650 battery which can be powered by solar panel and USB charging. 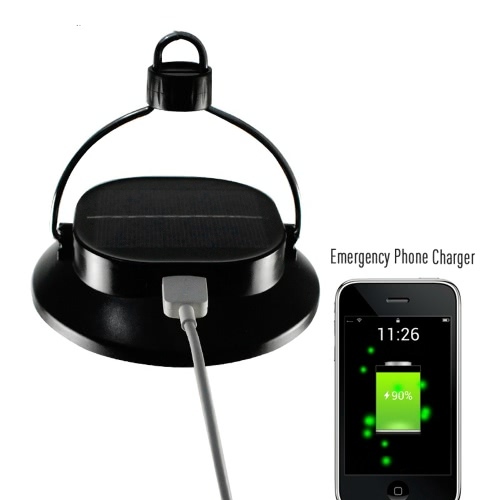 MULTI-FUNCTION - It can be also used as an emergency charger for your phone.